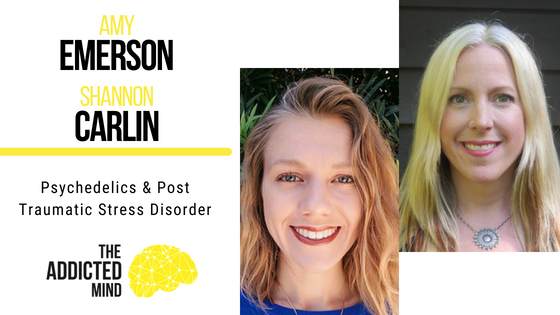 On this episode of The Addicted Mind, we are joined by Amy Emerson and Shannon Carlin of the Multidisciplinary Approach for Psychedelic Studies (MAPS) research group. Amy and Shannon’s group has had 107 participants complete their MDMA-assisted PTSD therapy program in the last several years, with promising results. As you may know, PTSD (Post-Traumatic Stress Disorder) affects 7% of the US population who have experienced life-threatening events such as military combat, car accidents, natural disasters, or childhood abuse. Individuals with PTSD experience prolonged instability in their lives, perhaps resulting in hypervigilance, fear, difficulty sleeping, and lack of trust. MDMA, the active ingredient in ecstasy, allows participants to experience the opposite of their PTSD symptoms, ideally increasing trust and dampening fear. Participants go through 3 previous therapy visits to establish a baseline and get them familiar with the therapy process, then they have their first MDMA session, followed by 3 integrative sessions, their second MDMA session, 3 more integrative sessions, and then their final MDMA session and 3 integrative sessions. Overall, the therapy sessions span 12-15 weeks, and though the courses are quite intense, participants have found this method to be less invasive and retraumatizing than their previous experiences with talk therapy. During their MDMA sessions, participants will spend 8 hours with 2 therapists who will guide the participant to follow their inner process by listening to their internal healing intelligence. This could mean that the participant talks a lot or barely at all during the session, but the purpose of the subsequent integrative visits is to help the participant process what they experienced and develop the new perspectives that they may be feeling in terms of life in general, coping with their trauma, work, and relationships. The MAPS research group’s research has shown that 2 months after completing their last therapy session, 56% of participants no longer had PTSD, while 12 months after finishing their therapy, 68% no longer had PTSD. 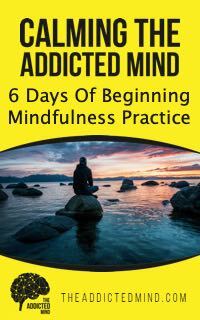 Participants have been pleasantly surprised by their results and healing, and therapists are observing the sessions and effects have been amazed at its effectiveness. To anyone who has been seeking help and been discouraged with your progress, Amy and Shannon want you to know that there is hope and research advances are providing new treatment options to the field faster than ever before. Keep seeking help until you find the right fit for you. Thanks for commenting Nicola. So sorry about your sister’s health issues. I think any of these drugs can be risky, especially if used without guidance and professional oversite, but I also believe that in a clinical setting there is a lot of potential for healing that should be looked into and hopefully minimize any risk to anyone looking for relief from suffering. Sorry to hear about your sister Nicola. Did she test the chemical she received was indeed MDMA and not diluted with another cheaper, more dangerous compound? (As is often the case when purchased recreationally). There is a huge duffernece with the use of MDMA for recreational purposes, potentiallly bought by shady folk on the street, and the clinical use of MDMA-assisted psychotherapy with carefully controlled doses, guidance and support in place. These studies along with other psychedelic-assisted therapies are potentially revolutionary for mental health care.